This article is about the town in Oxfordshire, UK. For the suburb of Sydney, Australia, see Chipping Norton, New South Wales. Chipping Norton is a market town and civil parish in the Cotswold Hills in the West Oxfordshire district of Oxfordshire, England, about 12 miles (19 km) southwest of Banbury and 18 miles (29 km) northwest of Oxford. The 2011 Census recorded the parish's population as 6,337. The Rollright Stones, a stone circle 2.5 miles (4 km) north of Chipping Norton, is evidence of prehistoric habitation in the area. The town's name means 'market north town', with "Chipping" (from Old English cēping) meaning 'market'. Chipping Norton began as a small settlement at the foot of a hill on which stand the motte-and-bailey Chipping Norton Castle. Only the earthworks of the castle remain. The Church of England parish church of St. Mary the Virgin was built on the hill next to the castle. Parts of the present building may date from the 12th century. It retains features from the 13th and 14th centuries. The nave was largely rebuilt in about 1485 with a Perpendicular Gothic clerestory. This rebuilding is believed to have been funded by John Ashfield, a wool merchant, making St. Mary's an example of a "wool church". In July 1549 the vicar of Chipping Norton, Henry Joyes or Joyce, led parishioners in a popular rising after the suppression of chantries and other religious reforms left him to minister alone to a congregation of 800, and reduced the budget for schooling. The rising was brutally put down by Lord Grey de Wilton; Joyes was captured and subsequently hanged in chains from the tower of his own church. The bell tower was rebuilt in 1825. The tower has a ring of eight bells, all of which were cast in 1907 by Mears and Stainbank of the Whitechapel Bell Foundry. St Mary's has also a Sanctus bell cast in 1624 by Roger I Purdue of Bristol. In the Middle Ages wool made the Cotswolds one of the wealthiest parts of England. Many mediaeval buildings built in the town as a result of that trade survive. They became the centre of town and remain so. There is still a market every Wednesday and the mop fair, when the High Street is closed to through traffic, in September. In 1205 a new market place was laid out higher up the hill. Sheep farming was largely displaced by arable but agriculture remained important in this part of the Oxfordshire Cotswolds. Many of the original houses around the market place were re-faced in the 18th century with fashionable Georgian facades. An inscription on the almshouses records that they were founded in 1640 as "The work and gift of Henry Cornish, gent". In 1796 James and William Hitchman founded Hitchman's Brewery in West Street. In 1849 the business built a larger brewery in Albion Street that included a malthouse and its own water wells. Three generations of Hitchmans ran the brewery, but in 1890 Alfred Hitchman sold the business as a limited company. The new company grew by buying other breweries in 1891 and 1917. In 1924 it merged with Hunt Edmunds of Banbury, and in 1931 Hunt Edmunds Hitchmans closed the brewery in Chipping Norton. Other industries in the town included a wool mill (see below), a glove-making factory, a tannery and an iron foundry. Chipping Norton had a workhouse by the 1770s. In 1836 the architect George Wilkinson built a new, larger workhouse. It had four wings radiating from an octagonal central building, similar to Witney workhouse, which Wilkinson also was building. The architect G. E. Street added a chapel to Chipping Norton workhouse in 1856–57. It ceased to be a workhouse in 1929 and became a hospital in the Second World War. The National Health Service took it over in 1948, making it Cotshill Hospital which later served as a psychiatric hospital. The hospital closed in 1983. and has since been redeveloped as private residences. Chipping Norton was one of the boroughs reformed by the Municipal Corporations Act 1835. Its neoclassical town hall was built in 1842. Holy Trinity Roman Catholic church is also neoclassical. It was built in 1836 by the architect John Adey Repton, a grandson of the English garden designer Humphry Repton. The Chipping Norton Railway opened in 1855, linking the town with Kingham on the Oxford, Worcester and Wolverhampton Railway. In 1887 a second railway opened, linking Chipping Norton to the Oxford and Rugby Railway at King's Sutton, and the CNR became part of the resulting Banbury and Cheltenham Direct Railway. Extending the railway from Chipping Norton involved digging a tunnel 685 yards (626 m) long under Elmsfield Farm west of town. In May 1873 rioting took place following the conviction and sentencing of the Ascott Martyrs, 16 local women accused of trying to interfere with strikebreakers at a farm. Bliss Tweed Mill, on the west of town, was built as a tweed mill by William Bliss in 1872. In 1913 to 1914 the millworkers struck for eight months. The mill closed in 1980 and has been converted into flats. It remains a landmark, visible from Worcester Road. The town lost its status as a municipal borough in 1974, when the Local Government Act 1972 made it a successor parish within the district of West Oxfordshire. Chipping Norton is in the Witney parliamentary constituency. The Member of Parliament for Witney from 2001 to 2016 was David Cameron, who was Prime Minister of the United Kingdom from 2010 to 2016 and the leader of the Conservative Party from 2005 to 2016. Since 2016 the MP for Witney has been the Conservative Robert Courts. Chipping Norton is part of the South East England constituency for the European Parliament. One Conservative councillor and two Labour councillors represent the town on West Oxfordshire District Council holding all three seats available, making it the least Conservative part of the parliamentary seat. The town has its own theatre. The building began life as a Salvation Army Citadel, with the first stones, now visible in the auditorium, being laid in 1888. It continued for some years as a furniture warehouse, before being discovered by two Royal Shakespeare Company actors, Tamara and John Malcolm in 1968. In 1973, fundraising for the new theatre began in earnest, and a pantomime, Beauty and the Beast was staged in the town hall. The Theatre was opened in 1975 by Tom Baker, the Doctor Who of the time, beginning with a light programme including films and lunchtime jazz concerts. The adjoining cottage was purchased and converted to become the bar and gallery. In 1990 a building in Goddards Lane was purchased and this now serves as green room, offices and rehearsal room. The town also is a retail and leisure centre for its area, with three supermarkets and numerous shops including branches of national chain stores. It has four public houses and two hotels with public bars. The town has three schools. Holy Trinity Roman Catholic School and St Mary's Church of England School are primary schools. Chipping Norton School is the town's secondary school and has a sixth form. Chipping Norton Golf Club is the oldest in Oxfordshire. The course was started in 1890 on Chipping Norton Common. Chipping Norton Rugby Union Football Club first XV plays in the Southern Counties North League and was league champion for 2007–2008 . Chipping Norton Town F.C. (known as 'the magpies' or 'Chippy') play at Walterbush Road and were founded in 1893. They used to play in the Hellenic Football League but resigned and now play in the Witney & District Football League. Chipping Norton Town Cricket Club plays in Oxfordshire Cricket Association Division 6. The town also has a bowls club. Chipping Norton has a Women's Institute, a Rotary Club, and a Lions Club. The town also hosts a number of annual arts festivals: Chipping Norton Literary Festival ('ChipLitFest'), Chipping Norton Music Festival, and Chippy Jazz and Music ('CJAM'). The Theatre Chipping Norton opened in 1975 in a converted Salvation Army citadel, and is a theatre, cinema, gallery and music venue. It hosts original productions and touring companies. 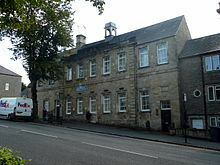 Between 1972 and 1999 the former British Schools building in New Street was Chipping Norton Recording Studios. Baker Street by Gerry Rafferty, In The Army Now by Status Quo, Too Shy by Kajagoogoo, I Should Have Known Better by Jim Diamond, Perfect by Fairground Attraction, I Just Died In Your Arms Tonight by Cutting Crew and Bye Bye Baby by the Bay City Rollers were all recorded here. Jeff Beck, Barbara Dickson, Duran Duran, Marianne Faithfull, Alison Moyet, Nektar, Radiohead, The Supernaturals, Wet Wet Wet, XTC, Mark Owen and Chris Rea were also clients. Chipping Norton Castle was a timber Norman motte and bailey castle which stood to the north west of the town. Very little of the original structures remain apart from earthworks. Until 1962 Chipping Norton railway station served the town. Now the nearest stations are at Kingham and Ascott-under-Wychwood. A community bus network called The Villager links residential roads and nearby villages with the town centre. Longer-distance buses run to Oxford and Banbury. A group of media, political and show-business acquaintances, none of whom live in Chipping Norton, though some live nearby, including former Prime Minister David Cameron, is referred to in the media as the "Chipping Norton set". Members of the Chipping Norton set regularly met socially. The group gained notoriety in the wake of the News International phone hacking scandal, which directly involved a number of its members. Those members affected, along with several attendees of their social functions, were victims of phone hacking by the News of the World. Notable meetings of the group have included Rebekah and Charlie Brooks's wedding reception near Chipping Norton, a 2010 Christmas dinner at the Brooks's, and Elisabeth Murdoch and Matthew Freud's 2011 Summer party at Burford Priory. This list includes notable persons who were born or have lived in Chipping Norton. Jeremy Clarkson, The Grand Tour presenter, journalist and writer. James Hind, highwayman born 1616 and executed for high treason in 1652. Conroy Maddox, surrealist painter resident 1929–33. Janice Meek, World record holding ocean rower. Wentworth Miller, American actor who was born there. Keith Moon, The Who drummer once owned the Crown and Cushion Hotel in High Street. Simon Nicol, guitarist and vocalist with Fairport Convention. Walter Padley, trade unionist and politician. Reverend Edward Stone, discoverer of the active ingredient of aspirin, lived in the town. Barbara Toy, travel writer and playwright. Elizabeth Jane Weston, Neo-Latin poet also known as Westonia born 1581. Vivian Woodell, founder of the Phone Co-op, which is based in the town. 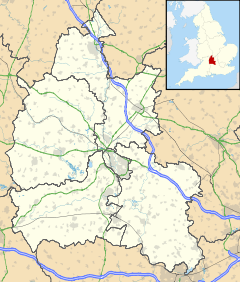 Chipping Norton is twinned with Magny-en-Vexin in France. ^ Else, David. England. Lonely Planet. p. 243. ^ "Chipping Norton Town Council". Chipping Norton Town Council. Archived from the original on 6 October 2017. Retrieved 7 May 2018. ^ "Area: Chipping Norton (Parish): Key Figures for 2011 Census: Key Statistics". Neighbourhood Statistics. Office for National Statistics. Archived from the original on 17 November 2015. Retrieved 3 November 2015. ^ a b Sherwood & Pevsner 1974, p. 536. ^ Sherwood & Pevsner 1974, pp. 536–538. ^ a b Sherwood & Pevsner 1974, p. 537. ^ a b Hedgcock, James (30 November 2006). "Chipping Norton S Mary V". Dove's Guide for Church Bell Ringers. Central Council of Church Bell Ringers. Retrieved 12 October 2012. ^ Dovemaster (25 June 2010). "Bell Founders". Dove's Guide for Church Bell Ringers. Central Council of Church Bell Ringers. Retrieved 12 October 2012. ^ Sherwood & Pevsner 1974, p. 540. ^ Hitchman's Brewery history. Webcitation.org. Retrieved on 24 August 2011. ^ Cotshill Hospital history Archived 7 January 2016 at the Wayback Machine. Oxfordshirehealtharchives.nhs.uk. Retrieved on 24 August 2011. ^ "page 1". Railway Tunnel Lengths website. Phil Deaves. Archived from the original on 16 April 2014. Retrieved 24 August 2011. ^ Councillor information: West Oxfordshire District Council Archived 1 September 2012 at the Wayback Machine. Westoxon.gov.uk. Retrieved on 24 August 2011. ^ The Theatre, Chipping Norton Archived 25 January 2016 at the Wayback Machine. Chippingnortontheatre.co.uk. Retrieved on 24 August 2011. ^ "The Theatre, Chipping Norton - History". www.chippingnortontheatre.com. Retrieved 1 July 2018. ^ Holy Trinity RC School Archived 16 February 2016 at the Wayback Machine. Holy-trinity.oxon.sch.uk. Retrieved on 24 August 2011. ^ St Mary's C of E School Archived 16 February 2016 at the Wayback Machine. St-marys-chipping.oxon.sch.uk. Retrieved on 24 August 2011. ^ Chipping Norton School Archived 28 May 2008 at the Wayback Machine. Chipping-norton.oxon.sch.uk. Retrieved on 24 August 2011. ^ Chipping Norton RUFC Archived 12 April 2009 at the Wayback Machine. Cnrufc.co.uk (2011-08-10). Retrieved on 24 August 2011. ^ Chipping Norton Town FC Archived 5 February 2012 at the Wayback Machine. Chippingnorton.net. Retrieved on 24 August 2011. ^ Chipping Norton Bowls Club Archived 4 March 2016 at the Wayback Machine. Wospweb.com. Retrieved on 24 August 2011. ^ Oxfordshire Federation of Women's Institutes Archived 7 September 2003 at the Wayback Machine. Oxfordshirefwi.freeuk.com. Retrieved on 24 August 2011. ^ Chipping Norton Rotary Club Archived 4 March 2016 at the Wayback Machine. Rotary-ribi.org. Retrieved on 24 August 2011. ^ Club-Sites.co.uk. "Chipping Norton Lions - Welcome". chippingnortonlions.org.uk. Archived from the original on 23 September 2015. Retrieved 22 August 2015. ^ "ChipLitFest is back for 2016! · Chipping Norton Literary Festival 2017". chiplitfest.com. Archived from the original on 3 August 2015. Retrieved 22 August 2015. ^ "Chipping Norton Music Festival Home Page". cnmf.org.uk. Archived from the original on 9 January 2016. Retrieved 22 August 2015. ^ Favis-Mortlock, David. "Chippy Jazz And Music (CJAM) - a friendly little gem of a jazz festival!". chippyjazz.com. Archived from the original on 24 September 2015. Retrieved 22 August 2015. ^ "Brief history of the theatre". The Theatre Chipping Norton. Archived from the original on 13 March 2016. Retrieved 13 March 2016. ^ Philip Davies. "Chipping Norton Castle". gatehouse-gazetteer.info. Archived from the original on 16 February 2016. ^ Dewar, Caroline (5 March 2012). "Who's who in the Chipping Norton set?". London: The Daily Telegraph. Archived from the original on 19 April 2012. Retrieved 25 April 2012. ^ a b Jennifer Cockerell (27 September 2012). "'Big society' makes it into Brewer's Dictionary". The Independent. Archived from the original on 16 July 2013. Retrieved 7 October 2012. ^ Tom Watson; Martin Hickman (19 April 2012). Dial M for Murdoch: News Corporation and the Corruption of Britain. Penguin Books. pp. 111–. ISBN 978-0-241-96105-6. Retrieved 6 May 2012. ^ Caroline Dewar (5 March 2012). "Who's who in the Chipping Norton set". The Daily Telegraph. Archived from the original on 19 April 2012. Retrieved 6 May 2012. ^ "Margaretha – den hemliga prinsessan". Archived from the original on 14 August 2015. Sherwood, Jennifer; Pevsner, Nikolaus (1974). Oxfordshire. The Buildings of England. Harmondsworth: Books Penguin. pp. 536–541. ISBN 0-14-071045-0. Volkin, Michael, ed. (2000). Nuffield Advanced Chemistry Students Book. London: Longman. ISBN 0-582-32835-7. Wikimedia Commons has media related to Chipping Norton, Oxfordshire. Wikivoyage has a travel guide for Chipping Norton. "Chipping Norton" . Encyclopædia Britannica. 6 (11th ed.). 1911. pp. 238–239. This page was last edited on 4 April 2019, at 15:56 (UTC).